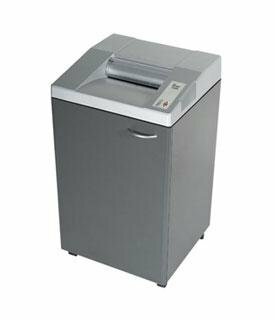 The GBC 6500S Office Shredder - The 6500S shredder is suitable for all types of shredding applications. Shreds 28 to 30 sheets into 1/4" strips at a fast 25 feet per minute including staples and paper clips. Features SmartShred controls and Jam-Stopper electronics. The shredder has an auto on-off operation. Continuous-duty motor never needs a cool down period. 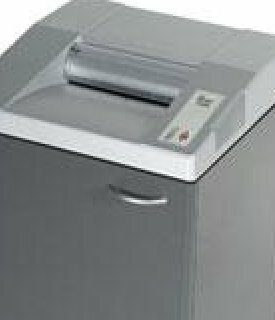 Full size, 16in opening, suitable for all types of shredding applications from regular paper up to EDP-computer size paper. Large bag capacity lets you shred longer. The shredder's bin-full indicator and reverse function insure trouble-free operation. SmartShred controls: Four visual indicators keep you informed - Power On, Bag-Full, Overload and Door Ajar. Jam-Stopper electronics: Solid one-piece cutters shred staples and paper clips without jamming. Bag-full sensor shuts off shredder before back-end jams occur. Auto stop on jam eliminates motor wear and tear.